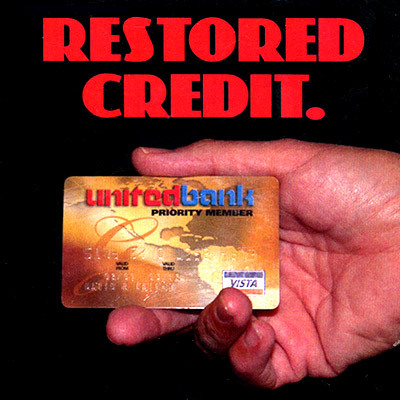 Restored Credit is a broken-and-restored credit card routine. It was explained in Approaching Magic and it is now realized with beautiful custom-made props. I perform this trick perhaps more than any other, as there are so many opportunities to bring out a credit card in everyday life. But even if you don't carry credit cards, you can do this trick! You will love the gimmick, as it creates a beautiful illusion and the trick practically works itself. Comes complete with custom-made gimmicked credit card, a matching un-gimmicked card, and an instructional DVD. Please note this item is a special order item and will dispatch in 3-5 working days.